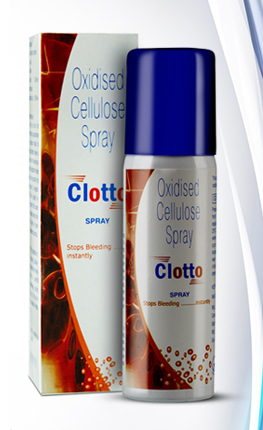 Clotto stops bleeding caused from cuts, abrasions and lacerations. It is fast and painless and can be used by persons from all age groups –also perfect for those cuts and scrapes that children often get on their knees and elbows. Just spray it on, and stop the bleeding. 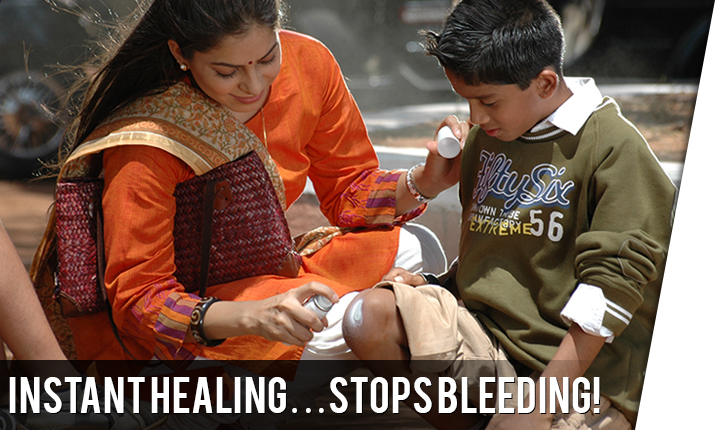 The spray forms a healing layer on the wound which goes away on its own, therefore no painful peeling off of bandages! Its quick and easy application makes Clotto an effective product in institutions like hospitals, diagnostic centres, and dental clinics especially for invasive diagnostic procedures and dental treatments.